QUESTION 1: What are the first steps the homeowners association manager should take after she’s informed that a member has passed away? ANSWER: This is a delicate issue for most people, and the manager/board doesn’t want to come across as cold or unfeeling. However, the Association does depend upon its assessments to pay the bills, and there is a practical problem, at least in the short term, when there is a disruption in the expected payments. Make sure the unit/home is locked up, and doors and windows secured following a death. Certainly this is necessary if the resident actually died in the unit/home and/or was removed from the unit/home by emergency medical responders. Check the Association Records to see if there is a co-owner or someone who is listed as a contact. The manager would want to reach out for information on who will be responsible for the unit/home going forward. Sometimes, the heirs will pay. Other times, there may be no family, and so on, but there may be a family attorney, or other resource connected to the resident. Check the status of the assessment account. The unit/home is likely to become delinquent. The Association does have the ability to proceed with collection against an estate even if you don’t know who is actually involved..
And, people are curious about death, particularly if there is some mystery about it. It is important for the manager to remind the board members not to go into the unit/home following a resident’s death. It is particularly important, so that the heirs/family members cannot accuse the homeowners association of removing property from the unit/home following the death. QUESTION 2: How could the manager find out who the new owner of the home/condo unit is, or if it’s part of an estate? ANSWER: If there is an estate, it will take a while for it to be opened and for additional information to be available. Eventually it will be possible to check the public court records to get information on the estate. Transfers of title are recorded in the County Public Records, which can also be searched by the manager. 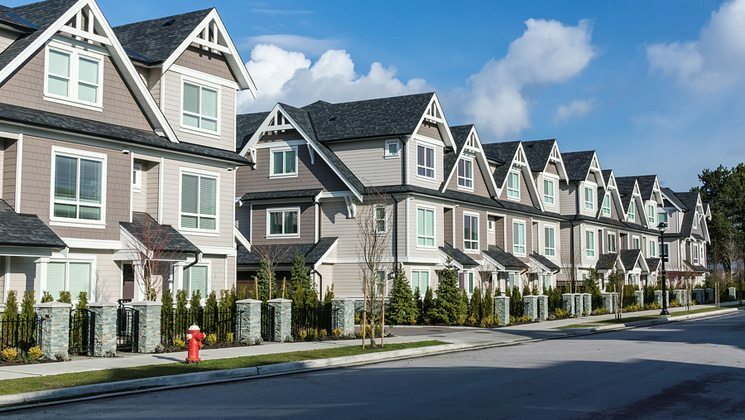 In a perfect world, the homeowners association would have an emergency contact person’s name, and that is information which should be obtained from every owner as part of the initial paperwork when a purchase is made. Then, the name is in the Association’s Records for future reference, and to inquire about the status of the unit. In many communities, the neighbors or other friends within the association will have information about whether a resident has family, and they may be able to shed some light on what happens next. Check with the Homeowners Association Attorney for guidance and assistance. QUESTION 3: How should the manager approach the issue of collecting monthly maintenance, fees, assessments, etc. from the new owner or estate? How does this change if the member was delinquent or was violating the rules at the time he or she passed? ANSWER: If you have an address for the family or heirs, use it for an informational notice regarding the assessments. If title to the property has been conveyed, the name and address of the new owner will be on the recorded deed. At the least, notices should be mailed to the address of the unit/home and they will be forwarded if such arrangements have been made. Then, standard collections protocols can be followed. If there was a violation at the time of death, it would depend on what that was. Check the Documents to see whether the association has the ability to cure the violation, and charge back the costs incurred to the home/unit. Check with the Homeowners Association Attorney to determine the association’s options. QUESTION 4: If the member left the unit to a family member or other person, but he or she doesn’t qualify financially to own the unit on his or her own, what should the manager/board do? What if the person is precluded from owning the unit for some other reason, for example, something about them violates the governing documents? What should the board do in those instances? ANSWER: Using finances as a criteria for disapproval can be a slippery slope to liability for the HOA. The association always has the ability to foreclose if the assessments are not paid. Many documents prohibit the homeowners association from refusing to recognize a new owner who has inherited a unit, or exempt the heir from review or approval by the association. Ultimately, all sales and occupancy of units/homes are subject to the terms and conditions of the governing documents which run with the land. The United States Constitution prohibits any unreasonable restraints on the ownership of real property (the right of alienation of property). And in most cases, the association would be limited to occupancy rather than ownership. In Florida, violations of the documents prior to taking title are grounds for disapproval (unless the violation is cured prior to conveyance). For example, if the documents prohibited trucks, the proposed owner would have to get rid of the truck before moving in. The manager would have to check with the Homeowners Association Attorney to determine the association’s rights in that situation. QUESTION 5: Should the manager or board somehow notify the membership about the member’s death? ANSWER: Generally, the best time to do this is at a Board Meeting, with a moment of silence, or some other acknowledgement of the resident. If the resident were active in the community, that would certainly be mentioned. If the Manager has any information on final arrangements, that can also be conveyed. If there is a surviving spouse or significant other or family member in the home/unit, condolences from the Association should be conveyed. If there is a newsletter for the community, list the death in the section on residents’ news updates. If there is a sunshine club and a surviving resident, a condolence card would be appropriate. QUESTION 6: Are there any additional issues that a manager and/or board should address after the death of a member? ANSWER: It is a sad fact of life in the 21st Century that too many people die alone and without family. Or, the family wants nothing to do with the unit/home. That situation may leave the Association in the position of having to foreclose on the unit/home, or deal with a bank foreclosure. If the Association does get title, the Manager and the Board will have to deal with the resident’s belongings. Many things can be donated to charity. Unfortunately, sometimes the heirs who couldn’t be reached to help the resident when she was alive will suddenly appear after her death, and the Association will have to be careful about cleaning out a unit/home. Be sure to consult with the Association Attorney for guidance on Florida Laws regarding the contents of the home.